Thankfully this isn't life or death. 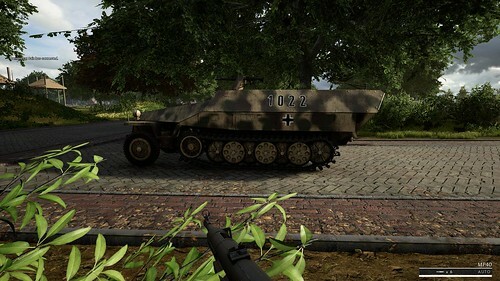 All vehicles now have more defined armor values IE: an APC will have more armor on its front, less on its sides, and very vulnerable in the back. This first take will loosely reflect more closely real-world characteristics, as well as create more depth to the AT role. I guess that's a good start, but the Infantry (the core of the game) still has wonky models. You either get wounded or instantly killed. No damage to body parts, limping, or tertiary effects. 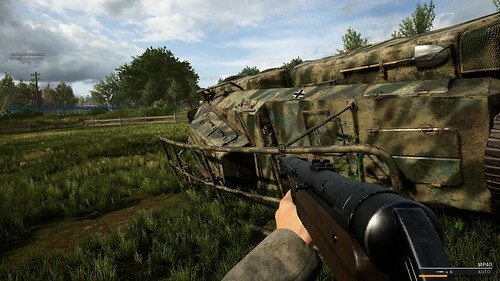 In three years I've had very few good experiences with Squad that I don't think will change with Post Scriptum. Repsawn system is AWFUL, specifically respawn timers. Your character is fickle and dies easily. Why make okayers wait over a minute to respawn ? I don't want to wait 90 seconds to respawn. I want to enjoy the game, not sit at my computer staring at a blank screen for 90 seconds at a time. No friends system would be a huge concern for me. Test server version up for download now for those who have purchased it. I'm downloading at the moment but will take forever on my dsl connection. Hope to get a look at it while the weekend test is going on. Curious to see if they can handle the load. I played it for maybe 15 minutes last night. 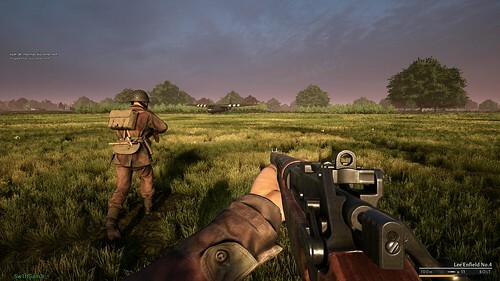 Graphics were similar to Squad, everything was rather blurry and indistinct at any distance. The grass and foliage look pretty bad when you are moving. Frame rates were very low, hovering around 45 most of the time (1070, 16gb ram, i5 8600k). Got to where some shooting was going on, couldn't see anything (which could be considered pretty realistic lol). Got shot, had a medic patch me up. Climbed up to the third floor of a building and saw a Panther which was shortly blown up somehow. Finally, way in the distance I saw a little bit of movement that I assumed was a German. Fired a couple shots, got an instant dose of MG 42 in response and the game crashed. Will give it another look today but keeping a close eye on the 2 hour return window. My frame rate was pretty choppy even after I lowered the gfx settings quite a bit. Took some time to figure out how to spawn but once I got in it seemed pretty straightforward. Played for a bit as a Bren gunner. Shot two Germans (I hope they were Germans. Couldn't really tell) then got nailed and called it a day. Played for a bit as a Bren gunner. Shot two Germans (I hope they were Germans. Couldn't really tell) then got nailed and called it a day. Haven't even got on a server yet, but your experience gives me hope. 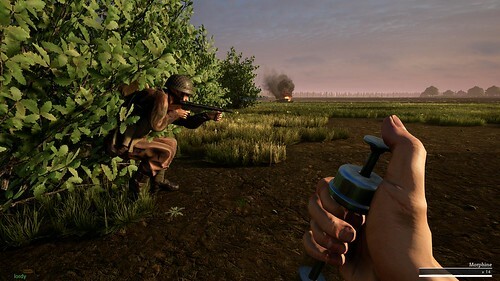 In short doses I really enjoy the sense of chaos that Squad produces - to me that seems the essence of modern infantry combat (hasten to add that this impression is based solely on books/TV docs, not personal experience). As a game (in terms of win/lose, K/D, score, etc) Squad can get frustrating, but I do relish that whole hunkering-down-whilst-working-out-the-source-of-incoming vibe. I'm guessing PS will do the same, but with a cooler setting. I don't have friends so I'm fine. 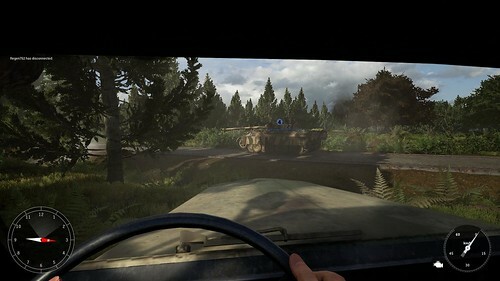 I left out the 5 minutes it took to drive a jeep (and a further 5 to figure out how to get in and drive it) from the spawn over to the front line. 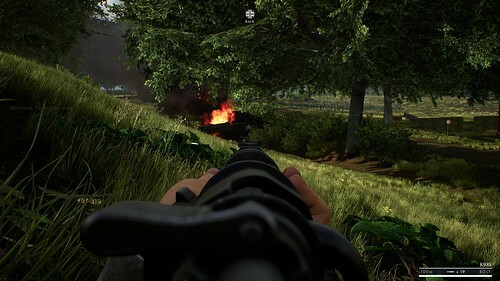 Once I got there, the firefight I was in lasted about 20 seconds from me peeking out through a hedge and setting up my bipod to me taking a bullet in the cranium. 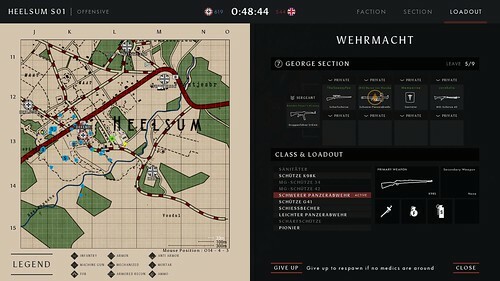 Grabbed Post Scriptum for the test weekend. Sound effects are great. Plays a little like a really small version of flashpoint, around the size we used to make our missions. A lot to explore here. Game I think has the right ratio of realism and practicality for a playable game so far. Here are a few screenshots off my PC so you can see what it looks like on a lower end PC. Was getting 40FPS, although at times it dipped to 13FPS. I am running an old 3570k processor and a GTX970 GPU and had most settings at the top, for those that want to know. he mode I just played had an offensive and defensive side. Once the objectives are taken by the attacking player, one by one. They cannot be retaken. Only remaining objectives can by defended. This does not preclude a counter-attack but does stop that counter attack from actually taking back ground. In real life of course attacking and defending were most often the roles of armies at least locally. Meeting engagements did happen of course. I destroyed a Sherman Firefly with my panzerschreck as well as the infantry scout covering ahead. However because I was on my own, at an already capped objective. It was to no avail. In fact come to think of it, I do not even think kills are "literally" displayed in the points scoring system. 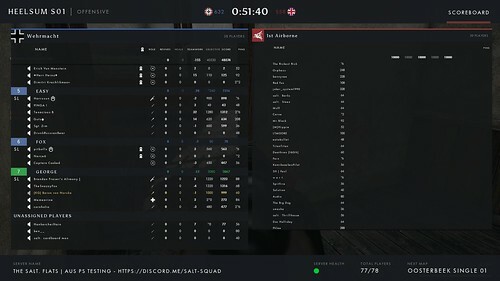 It simply lists things like "teamwork" and "objective". This is a great incentive (not incentiviser) to work as a team. I assume if you stay with your squad you automatically gain points. 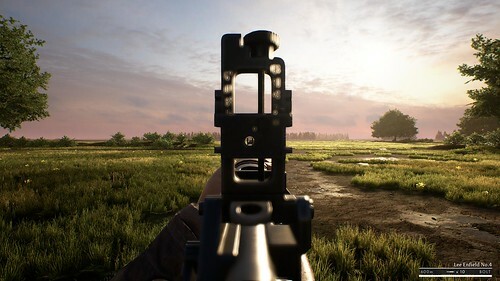 It really is a breath of fresh air to see terrain that trys to actually look like the area it portrays as well as undulating enough to make infantry effective at moving without getting immediately pinned. 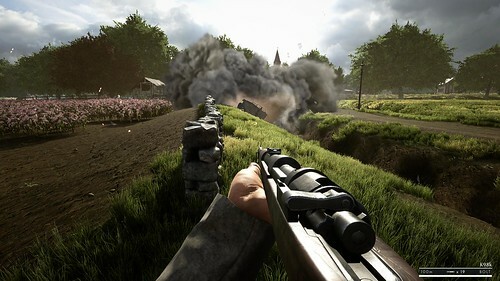 The fact that most players are forced to have their historical counterparts bolt action rifles helps in that regard. 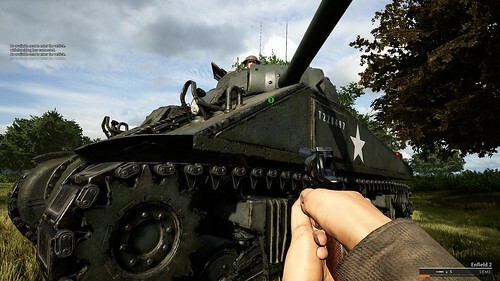 Tanks are very hard to see out of, although I only tried an British armoured car. You do see the commander of tanks unbuttoned, I imagine for obvious reasons. Just thinking about it actually, I think one of the things I like about it thus far is that I did not notice any sway while running or aiming if you are not fatigued. I am not really a fan of games that make you play the with the gun swinging about in prone rested positions. Not yet. Only have Squad. Let me know when you have it if you want. We should try a Grog squad, deep south deep deep south grogsquad. I don't think this game would be playable on the US servers? Not optimised enough yet. I actually rather enjoyed it. I think the WWII weapons fit well into this system. It's a campers delite, and I love to camp. 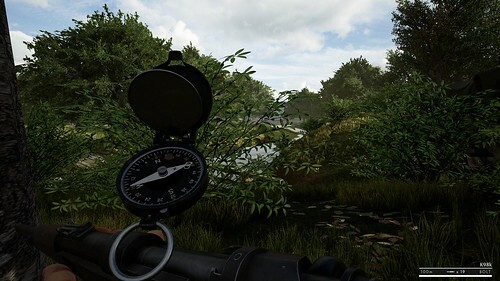 It does take a while to find a good camp spot, but when you do...it's deadly and takes for ever for them to find you. The canteen helps with running so you can cover the map a little better. Skoop you're a camper? I hate you! I would have thought the scoring system would stop you from camping so much. Does it not reward teamplay? But then if their is no progression system who cares about score right? The game does reward points for team play, although at this point it's not clear what it actually does. Personally, I'd prefer not to see the game offer bonuses for certain play styles and keep it a level playing field.